Editor's note: They power our homes and supply clean water - utility companies fulfill our most basic needs. This week we're showcasing the Utilities Industry and the ways they’re relying on Google Maps for Business to improve operations and keep the lights on. Today’s guest blogger is Jeremy Heath from Sutton and East Surrey Water. At Sutton and East Surrey Water (S&ESW), we supply water to almost 700,000 customers each year, stretching more than 2,000 miles. To manage such infrastructure for our day-to-day operations, quickly assigning and tracking jobs in the field is a top priority. Like many utility companies, we’ve relied heavily on paper-based work orders to manage customer service calls and repairs, a process that added extra work hours for our employees. Then we discovered Google Maps Coordinate. Introducing Maps Coordinate to S&ESW’s meter fitting and repair teams allowed us to improve productivity and cut costs. Before every team would spend an hour at the end of the day filling out paperwork. 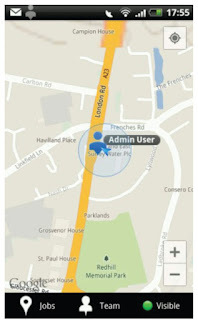 Today, we can use the Google Maps Coordinate smartphone app to record data and build reports on a daily basis. Replacing our paper-based workflow with Maps Coordinate has resulted in a 17% increase in operational efficiency and an overall return on investment (ROI) of 500% based on time and cost savings. Using the same technology as Google Maps, the Coordinate app provides our dispatchers and repair teams with a unified view of past and present job details. 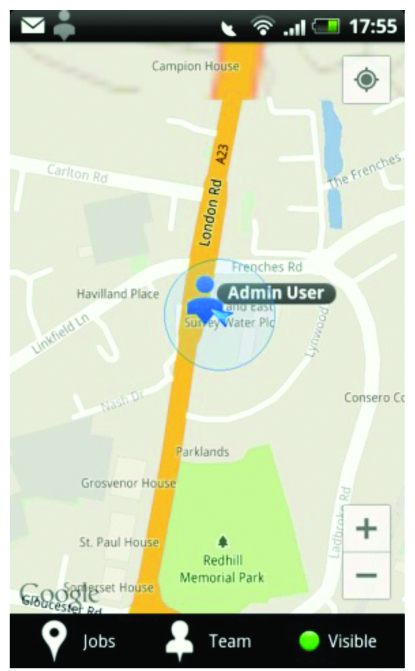 Our employees in the field can share their location, manage jobs and record data directly in the app. And because it incorporates the easy-to-use Google Maps interface and rich set of mobile features, we can provide our employees with a tool that is simple and familiar, minimizing training requirements. Without the need for complex configurations, adopting Coordinate’s web and mobile app was simple and easy to do for our employees. Since we were able to run Maps Coordinate on our existing smartphone network and back-end technology, we deployed the mobile and web-based apps across S&ESW within weeks. This helped us to further reduce development time and costs. Integrating Google Maps has changed the way we communicate and operate our business. Its allowed us to achieve an impressive ROI and save thousands of dollars in printing costs alone. Above all, we’re meeting demands for better quality service and providing the clean water that our customers depend on everyday.